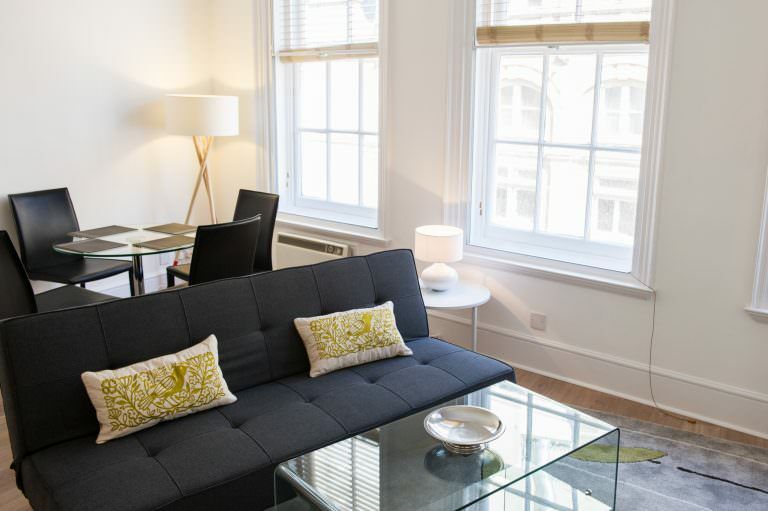 West End One by Q is located in the heart of the West End, nestled in a small pedestrianised street running between Leicester Square and Charing Cross Road. 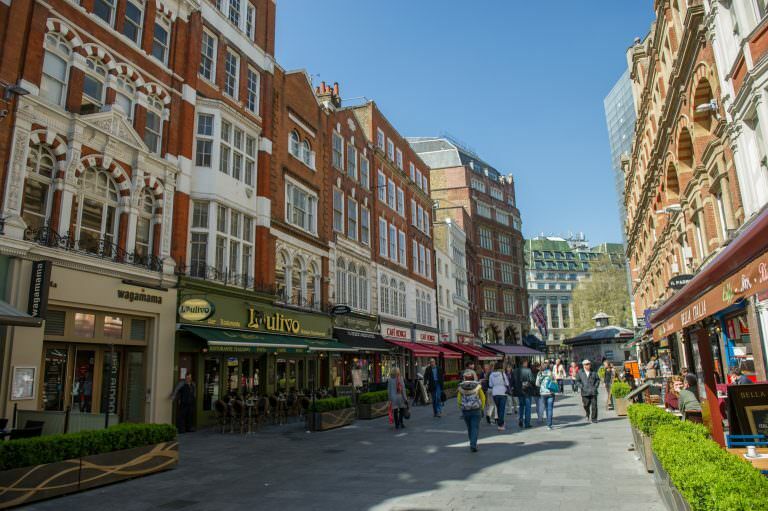 The nearest underground station is Leicester Square which is on both the Piccadilly and Northern lines networking across the west end and city of London. Chinatown is on the doorstep as are many restaurants, cafes and pubs. 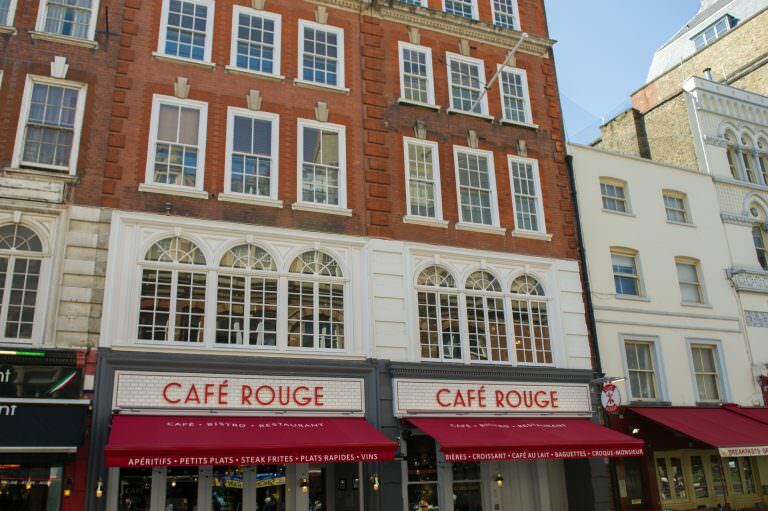 Mr Fogg’s Tavern – in the neighbourhood – has live ‘sing-along’ music on a Thursday evening a must after a long day at work. 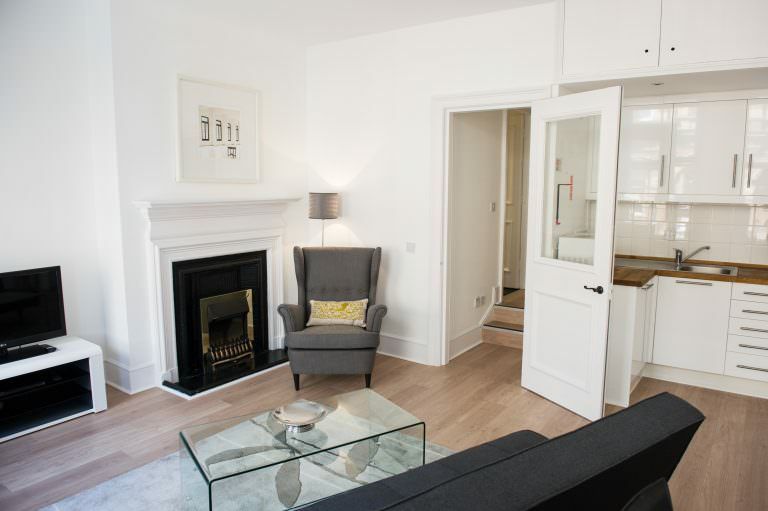 This tasteful period property has been lovingly renovated whilst still retaining some of the original features such as the stylish fireplaces. 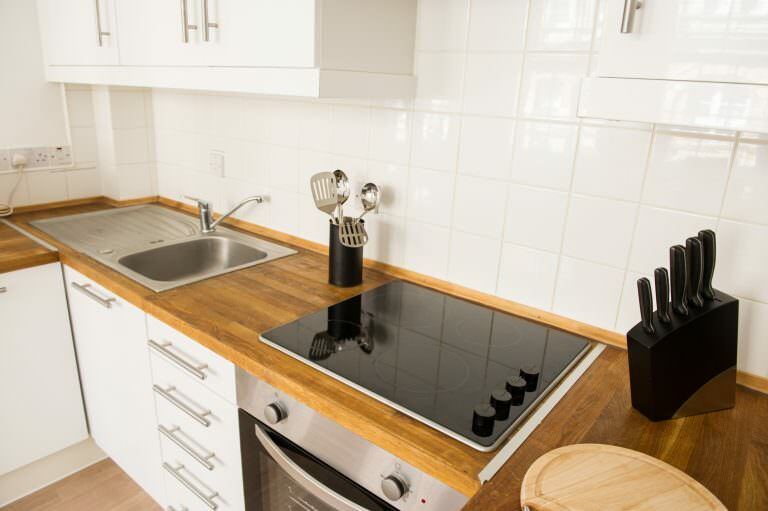 Because of the type of property this is there is unfortunately no lift – the apartments are reached by way of stairs to all floors. 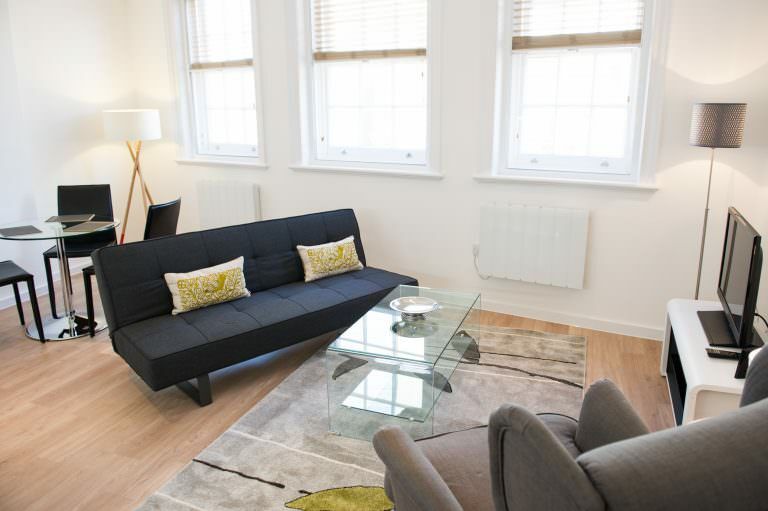 West End one by Q has a portfolio of 6 one bedroom apartments. 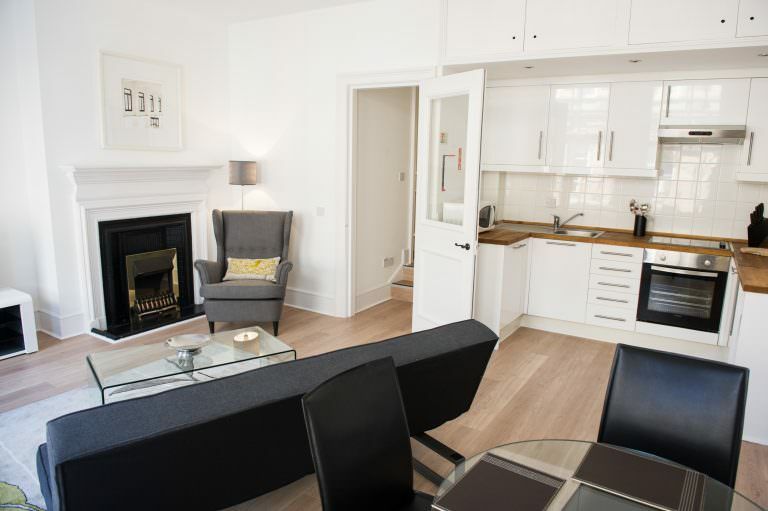 These refurbished apartments are open plan with a private bathroom. 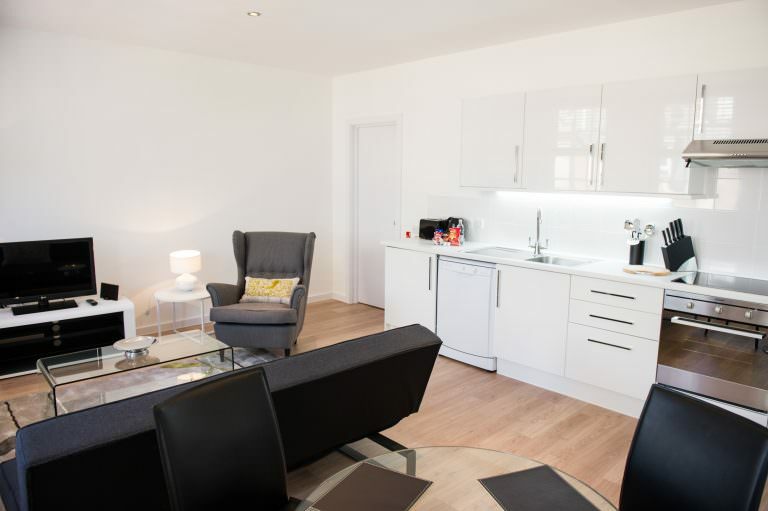 All the one bedroom apartments at West End One by Q have a fully fitted kitchen complete with washer dryer. 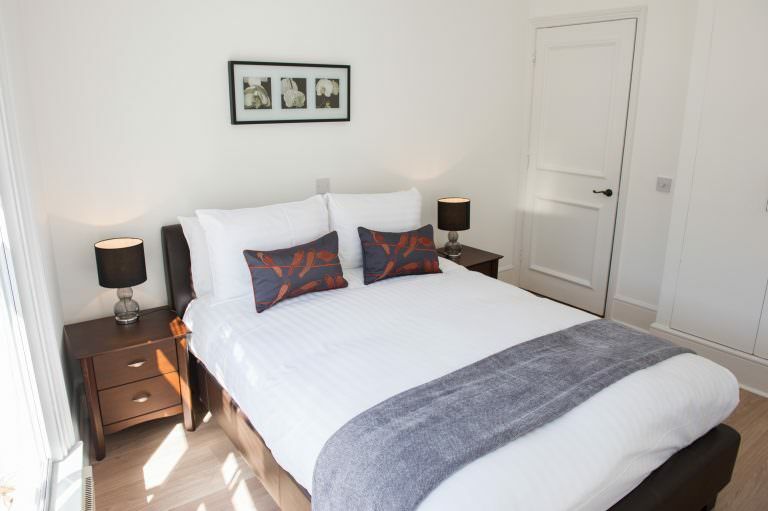 Furthermore, Q also provide iron and board, a welcome pack and The White Company toiletries (on arrival). 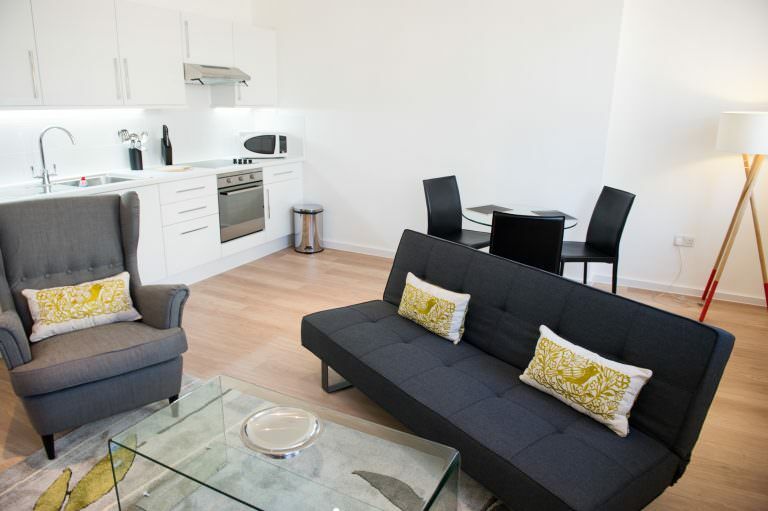 Free Wi Fi comes as standard and the apartments all have a LED TV and DVD player. 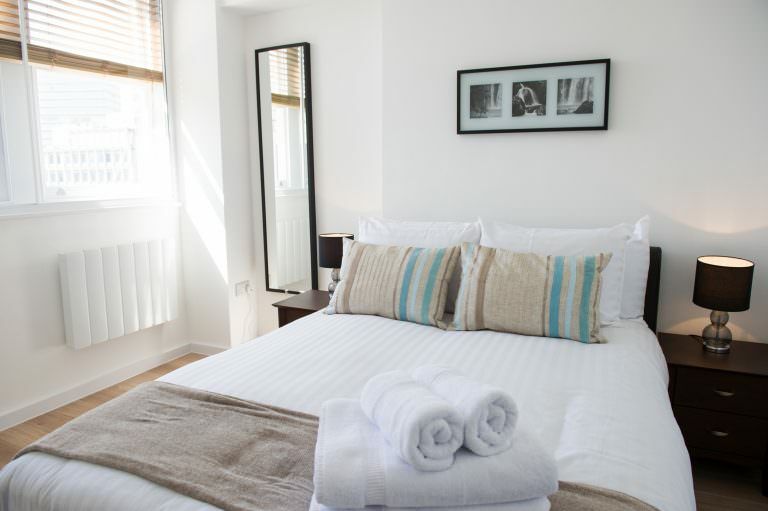 Whilst enjoying a stay at West End One by Q, guests will benefit from weekly housekeeping and linen change. 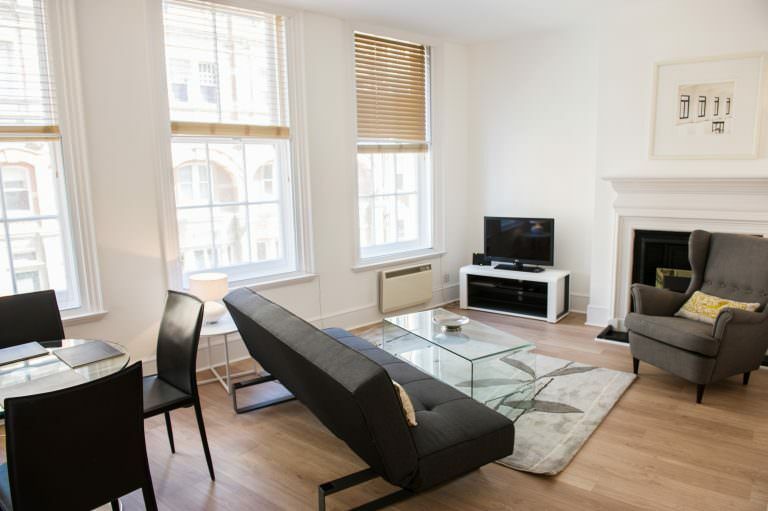 This attractive property is perfect for the executive wishing to wind down after a long day away from prying eyes in their own home from home in the heart of London.